I've been busy this past few days that's why I m catching up real quick. Any way, don't be bothered with my pictures! 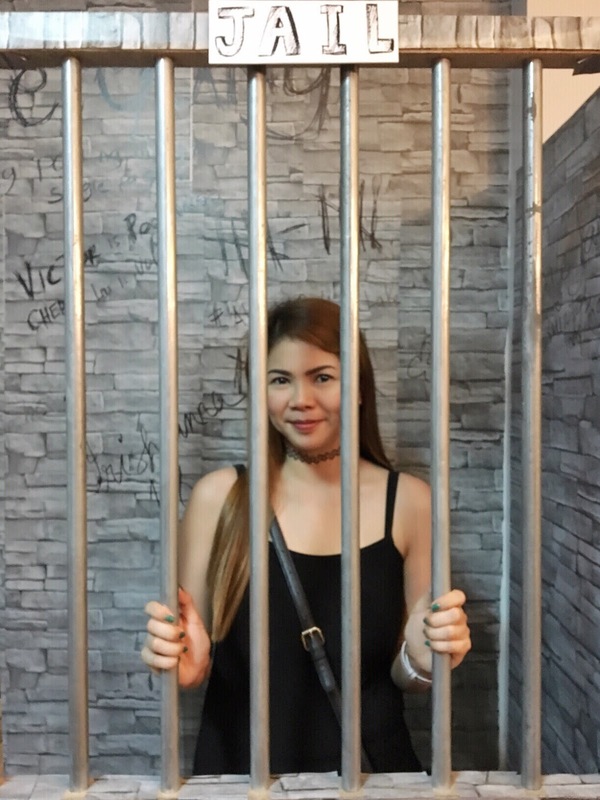 I am not convicted with a crime or in jail. Starting today, I will be featuring a restaurant that I visited once a week here in my blog. The last restaurant I feature here is Buffet 101 which you can find here -> I can't believe I ate the whole thing? 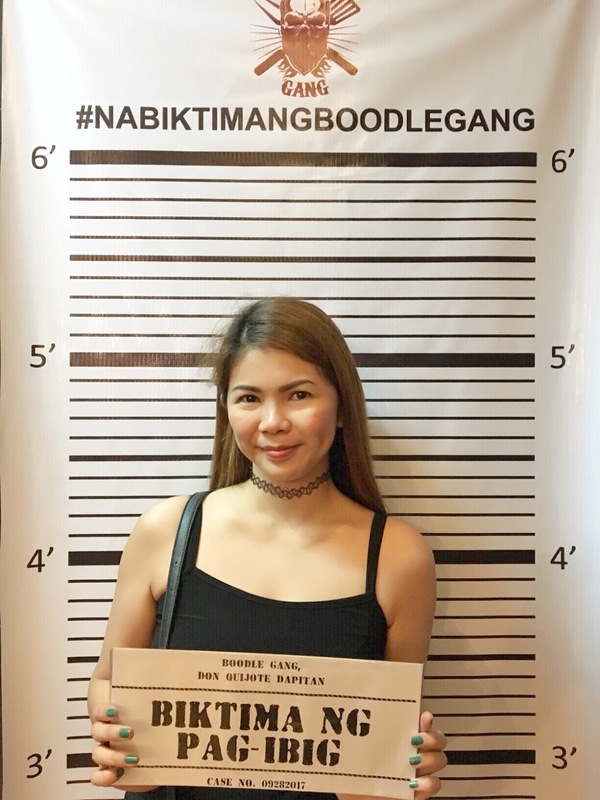 For this week, I would like to share with you my dining experience to a newly opened restaurant named 'Boodle Gang'. 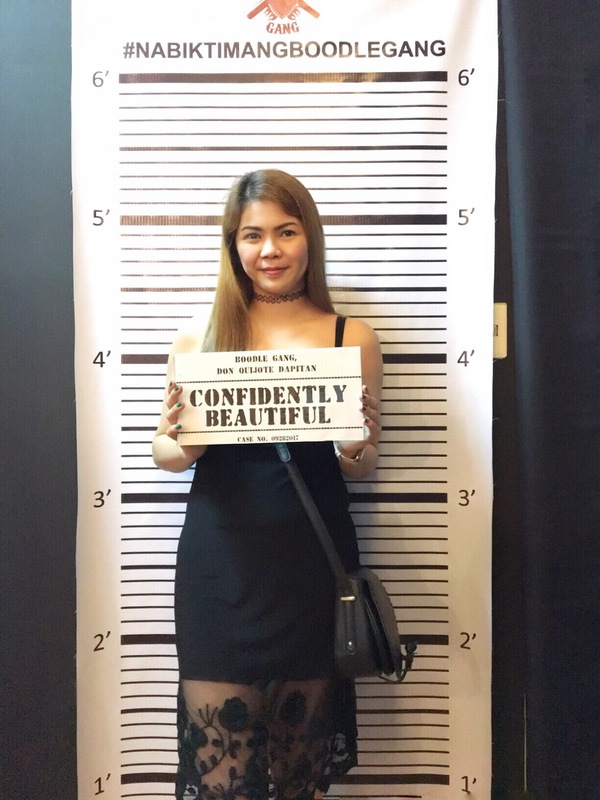 A themed restaurant wherein the servers are wearing orange shirt for prisoners and some area in the restaurant wherein you can take your mug shot, put yourself in a the jail and sit down on their confession chair. 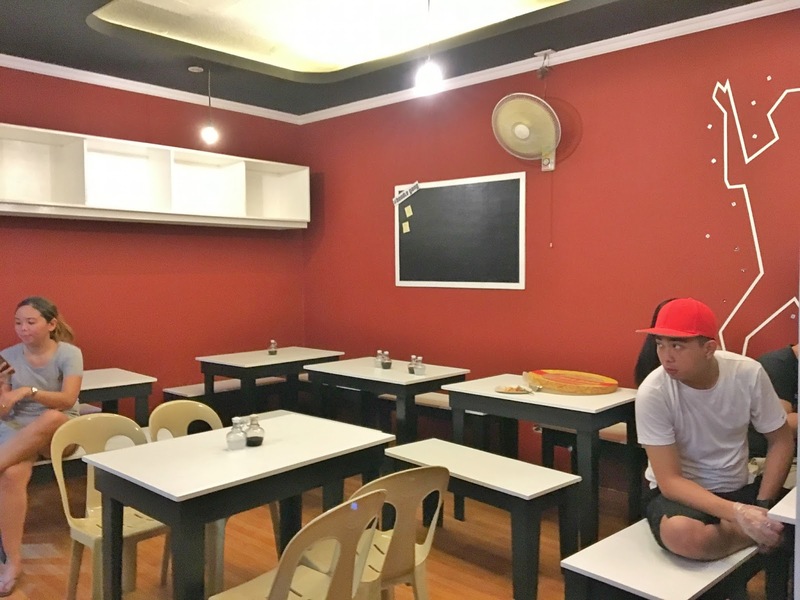 It is located at 1218 Don Quijote St. corner Dapitan St. Sampaloc, Manila. You need to climb up the stairs from the 1st floor because the restaurant is located at the 2nd floor. The dining area is on a one level floor and not yet air condition upon visit. 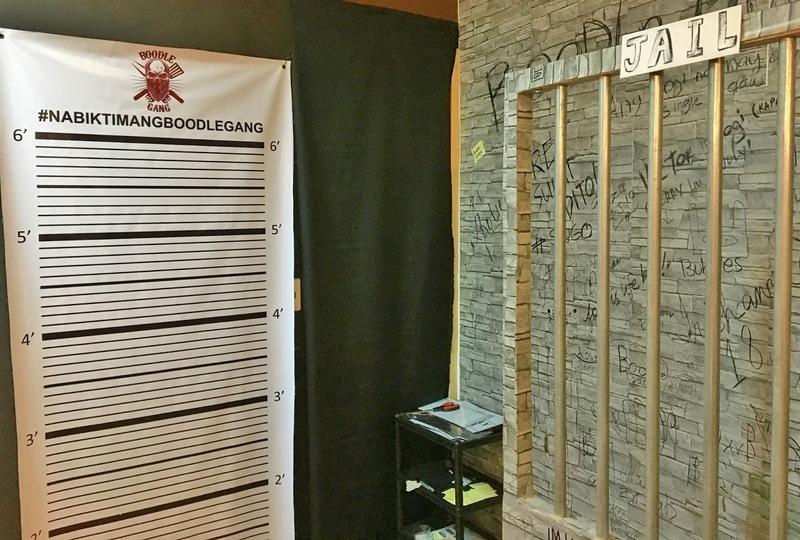 The ambiance is very casual and simple though there are some jail themed aesthetics. 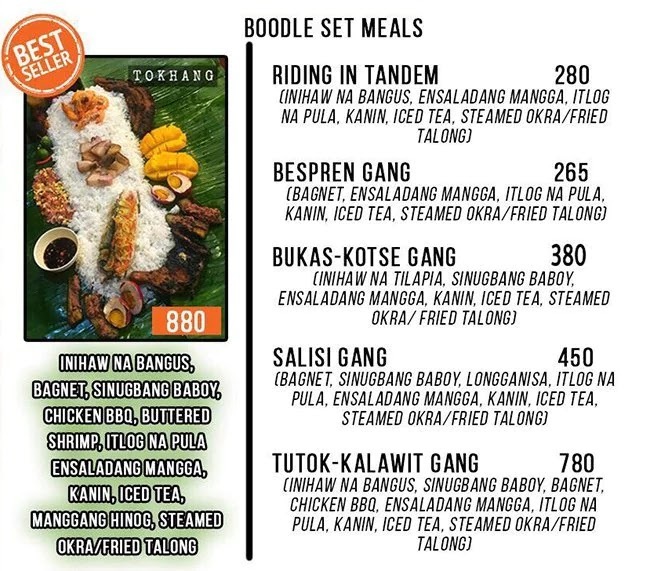 The foods are affordable and the boodle fight meals are good for 3-4 persons that can extend up to 8 persons based on the order. 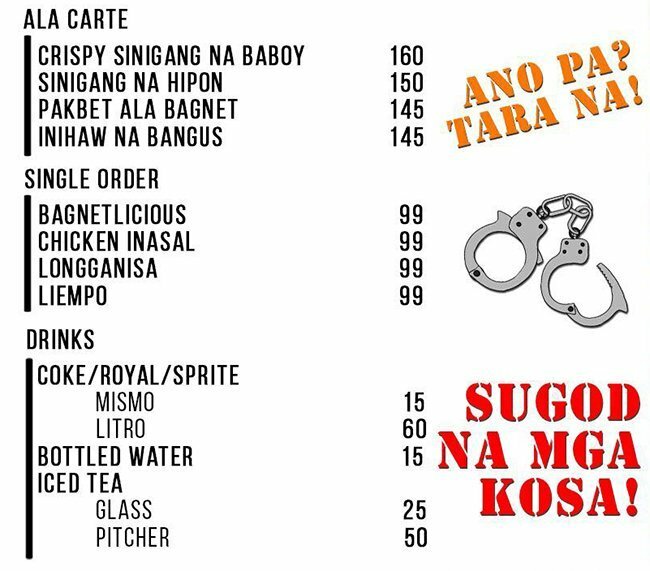 You can order an ala carte meal too. 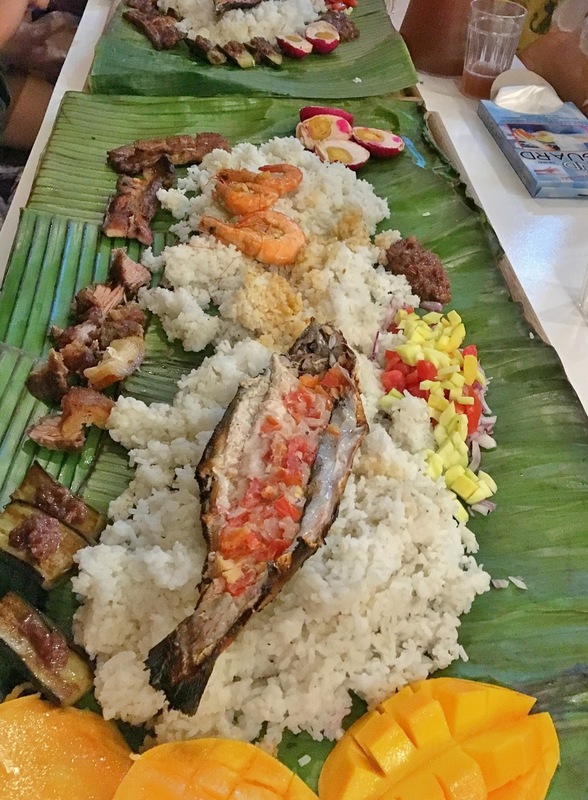 We tried their best seller and famous 'tokhang' boodle fight meal that is good for 7-8 persons which is serve on a pandan leaves. We ate by our bare hands using a plastic gloves which they provide but you can opt not to wear it and eat fully bare hands. We like the fact that they served fresh sea foods and grilled meats with fruits and veggies on the side. To be honest, I am actually feel bloated when I finish eating while there's still some remaining foods on the table. Overall, I love the theme and the casual family setup they have. As a soft opening restaurant, I know there's a lot of things needed for improvement like the signage, air condition system and the flow of operation. But other than that, the food are in good quality and the staff are courteous and very accommodating. Have you ever been to a themed restaurant before? *All my opinions are based solely on my own.